Wow! Some dog! That’s what we said when we saw Jeff Koons’ 12-foot tall orange stainless steel dog outside of Christie’s auction house last week. 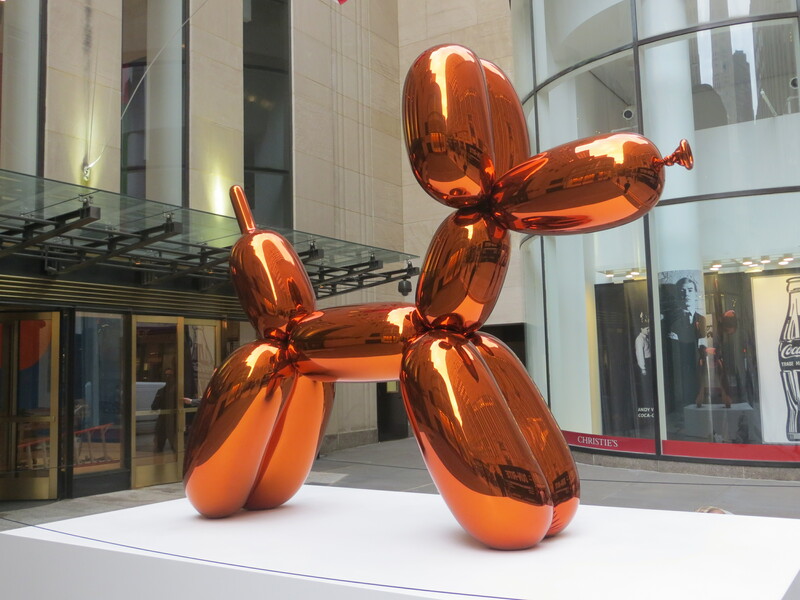 Balloon Dog (Orange) could fetch up to $55 million at the auction this evening! There are 5 metallic dogs in the Koons collection. The other pups are yellow, blue, magenta, and red. The big orange doggy is part of the Brant Collection and proceeds from the sale will be used to help fund future activities of The Brant Foundation Art Study Center in Greenwich, Connecticut.